Chasing the Last Whale is a terror-filled joyride. I’ve never been so scared, so exhilarated, so ALIVE as when I read this book. When it entered my brain, I thought I was going to have to have a craniotomy. Now, I’m just happy to be alone again with my thoughts. 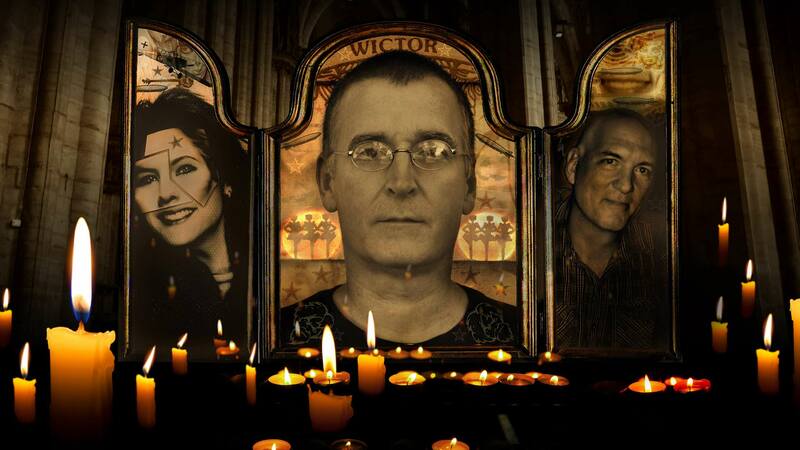 Throughout, it’s a surprising, difficult yet intensely honest story filled with compelling characters; the way personal details are exposed through voices and actions—perhaps thanks to Wictor’s memoir-writing experience—may make readers wonder if these are real people he’s writing about. Although frequently dramatic, the story is, like life, peppered with a healthy dose of humor, sometimes even in the most trying situations, making the story seem all the more real and its impact all the more heart-wrenching. An engrossing, relatable tale about letting go. Wictor has infused plenty of humor here. He has the ability to take even the most dreadful moments and hit you with dialogue or descriptions that bring you out of your melancholy. There are plenty of times in the book where we “hear” what Elliott is saying in his head, and then he verbally states the opposite. This battle of internal vs. external brings levity to uncomfortable situations. Don’t worry, there is light at the end of the tunnel in Chasing the Last Whale. While there are no whales here, there is an explanation for the title of the book within its pages. I really liked this book. I would definitely recommend it to anyone who is looking for something different and that enjoys black comedy. From music journalist Thomas Wictor comes a novel about dysfunction and redemption, packed with pathos and despair. The meat of the novel addresses questions of mortality, bullying, broken trusts, and war…an engaging story. This is a serious book, which deals with serious questions . . . and, somehow, manages to be laugh out loud hilarious at the same time. It is a book about life, in all its gritty reality and tenderness. Its deep sadness, anger, and joy. The story line in Chasing the Last Whale is an interesting one, with loads of unexpected twists and turns that you definitely won’t see coming. 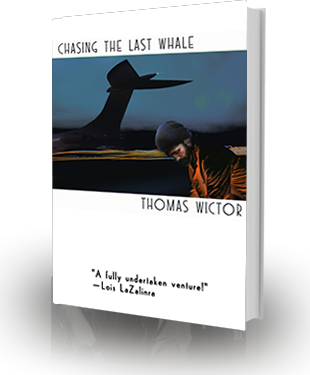 Elliot isn’t an especially likable character a lot of the time – but that seems rather appropriate, considering Elliot really doesn’t like himself… Chasing the Last Whale is an ambitious novel that takes on some difficult topics with a welcome air of humor. I found the lack of actual whales in this book disappointing. As a connoisseur of cetacean flesh, I was hoping for some titillation. Imagine, then, my disappointment when I was forced to wade through page upon page of pulchritudinous, lascivious, insatiable human females.